For reasons that are probably only interesting to me, I’ve been on an anti-inflammatory diet for the past month, and will be on it for the foreseeable future. I don’t expect that it’ll impact this space terribly much (I am going to have to get people to help me eat some of these biscuits though, so get ready Wilmington), but every once in a while I may share a recipe or two from this new lifestyle change over here. And more over here too, if you’re interested. Last week I made a variation on our favorite sweet potato bowls by thinly slicing an orange sweet potato and a Japanese white sweet potato into noodles. I cooked these up in my skillet with coconut oil and chipotle, and then topped it with a fried egg (from one of my favorite chickens), green onions, and pepper jack cheese. It was so good, I’ve been researching spiralizers. 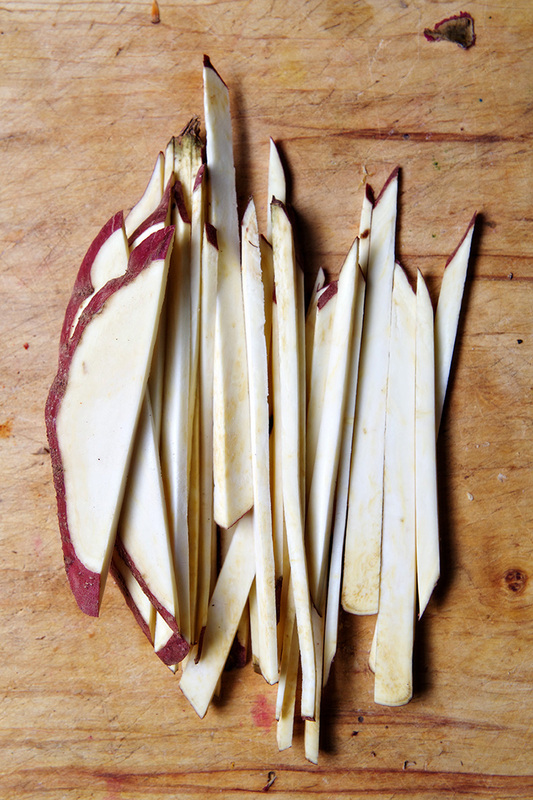 Thinly slice potatoes (skin on) into long strips. 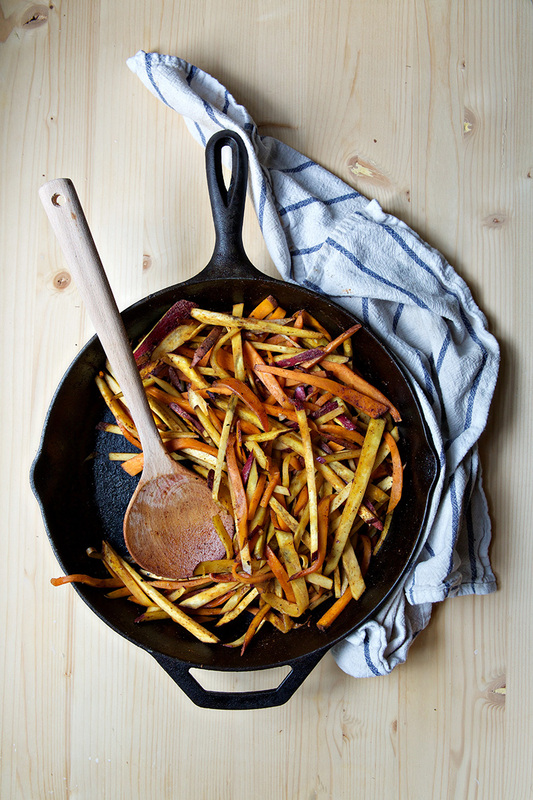 Heat oil in a pan and toss the sweet potatoes, chipotle and salt in the oil. Cook over medium heat, stirring occasionally, for 15-20 minutes or until the potatoes have softened. 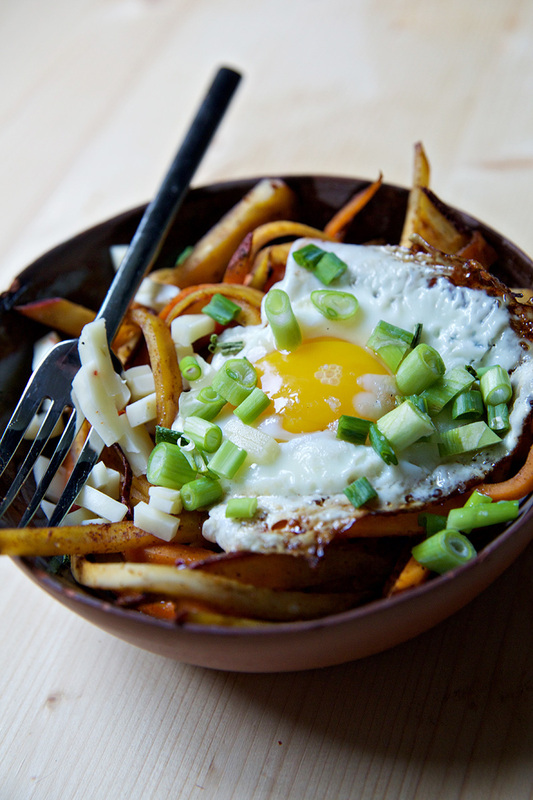 Fry your eggs to your liking in butter and serve on top of the sweet potatoes with cheese and green onion. Enjoy! Chipotle and sweet potatoes sound like such a delicious combination. Plus topped with an egg! Yum! Love the spiralizer for dishes like these (not so keen on pretending zucchini are noodles lol). This looks amazing–and it is awesome what a fried egg can do to a dish? I love absolutely everything about these bowls! 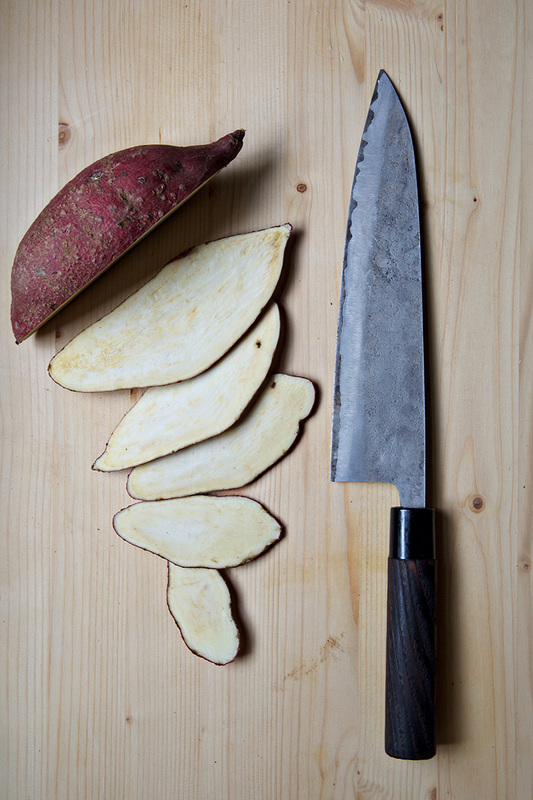 I love working with Japanese sweet potato! Definitely find they have a different cooking time. Your recipe looks beautiful; I need to make this! This looks like breakfast, lunch, and dinner to me. Anything with an over-medium egg is calling my name! Sweet potatoes are not my favorite but with all the other adornments, I am diving head first! 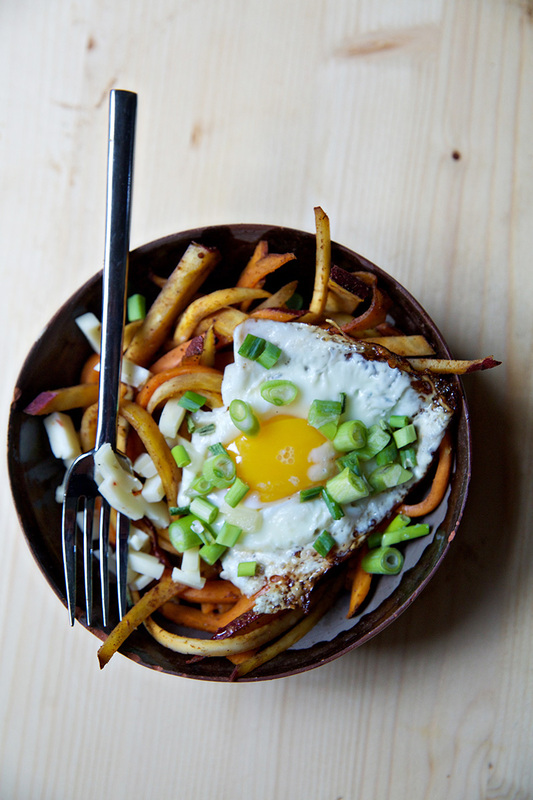 These chipotle sweet potatoes and egg look awesome. This looks like a perfect lunch to me. YUMMY!